A new Russian military global surveillance platform is orbiting Earth after launching from the Plesetsk Cosmodrome on Tuesday. 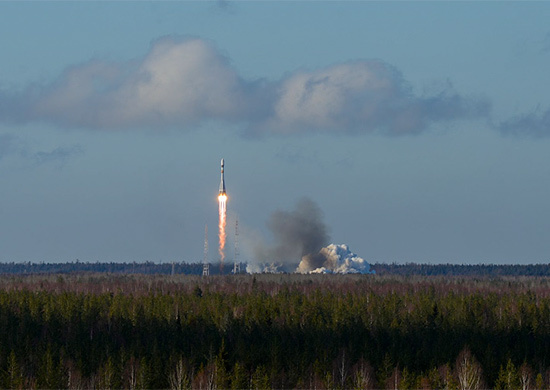 The defense payload soared into space on top of a Soyuz rocket, which lifted off at 1644 GMT (12:44 p.m. EDT) from Plesetsk, a military base about 500 miles north of Moscow. 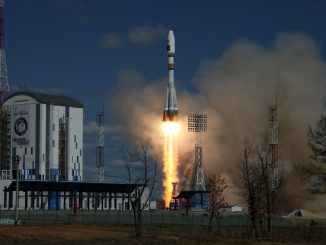 The three-stage rocket flew in the Soyuz-2.1b configuration, an upgraded version of the Soyuz with a new third stage engine and digital avionics, according to a statement from the Russian Defense Ministry. Russian military authorities said the launcher deployed its payload into orbit successfully, completing the second Soyuz flight from Plesetsk in 17 days. Tracking data from the U.S. military late Tuesday indicated the payload was circling Earth in an elliptical orbit with a high point of 675 kilometers, or 419 miles, a low point of 183 kilometers, or 113 miles, and an inclination of 98.3 degrees. The orbit suggests the classified payload, given the name Kosmos 2506 by the Russian military, is the third Persona imaging satellite, following the launch of the first craft in 2008 and a second mission in 2013. 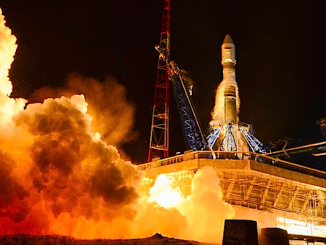 The first Persona satellite failed shortly after launch due to an electronics failure, according to a state-owned Russian newspaper. The second Persona spacecraft is apparently still operational. The Persona-class satellites replace the older Kobalt-series, which returned photographic film canisters to Earth for pickup by Russian intelligence services. The final Kobalt satellite launched from Plesetsk on June 5. 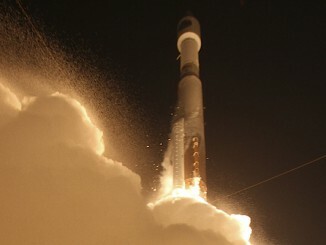 Persona satellites downlink reconnaissance imagery to Earth via radio, and the spacecraft launched Monday reportedly carries a laser communications system to send down images at an even faster rate, according to RussianSpaceWeb.com. Persona-series satellites are also designed to function for longer lives in space. Tuesday’s launch was delayed from early June in the wake of the April 28 launch mishap that doomed a Russian Progress supply ship heading for the International Space Station.